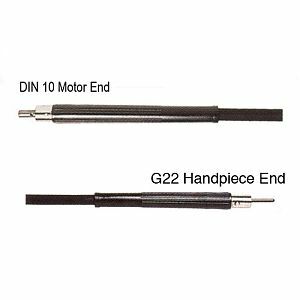 Cable Drive Assembly for Suhner flexable shaft machines - DIN10-G22 x2000mm. Consisting of inner cable shaft with couplings, and outer rubber protected casing with reinforcing sleeves and outer metal couplings. Complete assembly includes one each outer casing and inner cable.